The region now known as Fukushima Prefecture was once divided amongst several domains with diverse histories. Even today, the prefecture is commonly seen as being subdivided into three main regions, the eastern coastal strip (Hamadōri), the central region, including Fukushima City (Nakadōri), and the western Aizu region. This study focuses on Nakadōri and Hamadōri. 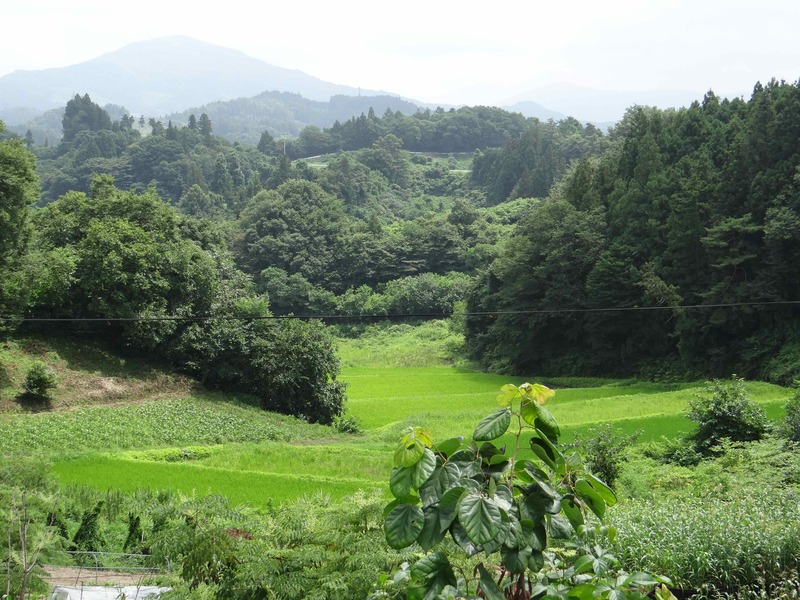 Traditionally, Aizu was a relatively prosperous area with extensive handicraft industries, whereas the coastal region of Fukushima, which relied on farming and fishing, was poorer. As Japan industrialized, coal mines were opened in eastern Fukushima. The large Jōban coalfield extended down the southeastern coast of the prefecture and into neighbouring Ibaraki Prefecture, but after its mines were closed in the 1960s and 1970s, the Hamadōri area faced serious unemployment problems. Inland rural areas were also threatened by declining population and limited employment opportunities, as traditional products like silk were driven out of the market by foreign imports. It was during this period that the coast of Fukushima became host to a chain of oil-fired and nuclear power stations, and acquired the nickname “nuclear power Ginza” (after the glittering and crowded Ginza area of Tokyo). The first nuclear power plant constructed in the region was the Fukushima No. 1 plant, run by the Tokyo Electric Power co. (TEPCO) and producing electricity for Tokyo city. Fukushima No. 1’s first reactor began operation in 1971. On 11 March 2011 an earthquake registering magnitude nine on the Richter scale struck an area off the northeastern coast of Japan. This was followed by a tsunami which in some places reached heights of up to fifteen meters or more. This was the largest earthquake ever measured in Japan, and although few people were killed by the earthquake itself, around18,000 people were killed or disappeared in the tsunami, among them almost 2,000 people in Fukushima Prefecture. Eleven of Japan’s 50 nuclear reactors (including six at the Fukushima No. 1 power plant) were in the areas most affected by the tsunami. Fukushima No. 1 plant was protected only by a five meter high seawall, although the operators, TEPCO, had been warned by some experts that this was inadequate. The reactors shut down automatically when the quake hit, but Fukushima No. 1 was flooded by the tsunami, which knocked out the power generators needed to maintain the plant’s cooling system. Between 12 and 15 March, soaring temperatures in the reactors led to chemical explosions in reactors one to four. TEPCO later admitted that meltdowns had also occurred in reactors one, two and three. Inadequate data, including problems with the government’s official radiation measurement system, meant that the levels of radiation exposure caused by the accident were not accurately measured. Initial attempts to reassure residents about the likely health effects created confusion and mistrust of the official data. By 1 April, residents from a 20 kilometer area around the plant had been compulsorily evacuated, and later others living in heavily contaminated areas outside the 20 kilometer radius were also evacuated. In all, some 100,000 people were forced to leave their homes, and many more chose to leave voluntarily for fear of health effects. More than 60,000 former residents of Fukushima Prefecture are still living outside the prefecture (as of late 2013), and tens of thousands more are living in places of refuge within the prefecture. The mass evacuations around the nuclear plant made it necessary to abandon the search for those missing after the tsunami in those areas. International scientific studies undertaken after the Chernobyl nuclear disaster of 1986 failed to produce a clear scientific consensus about the health effects of long term exposure to low-to-medium levels of radiation. Some scientists claim that there will be no health effects from the Fukushima accident, while others warn of possible very major long term effects. In this state of confusion, tens of thousands of families in Fukushima have been left to make the agonizing choice whether to stay and risk exposing children to possibly health damaging levels of radiation, or whether to leave, abandoning homes, jobs, schools and communities. In 2013, government-initiated screening for childhood thyroid cancer (known to be associated with exposure to radiation) revealed levels many times higher than the normal reported rate. 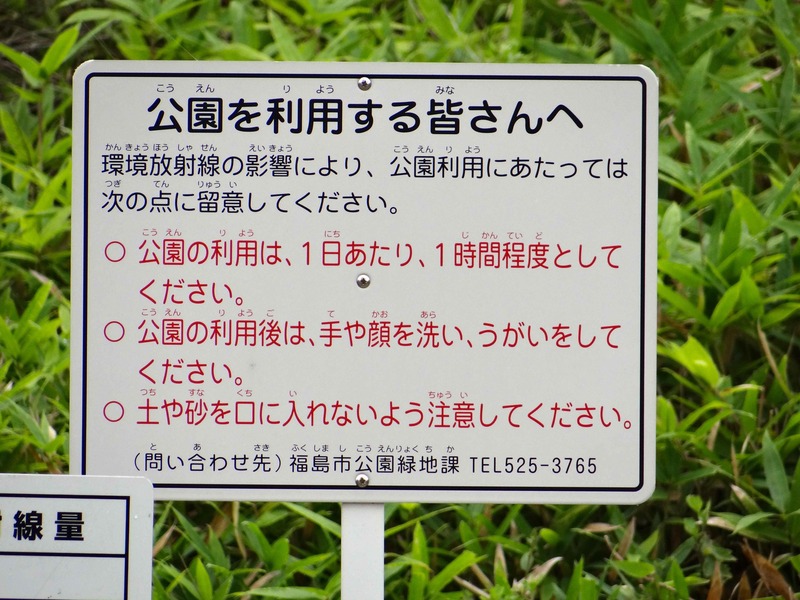 But, since the authorities failed to conduct control studies in other parts of Japan, the significance of these results is open to dispute: screening is known to show up small tumorous growths that might otherwise go unnoticed for years. What is certain, though, is that a growing number children in Fukushima Prefecture are now undergoing invasive thyroid cancer surgery and treatment that they would not have undergone had it not been for the nuclear accident. In response to the disaster, some ordinary citizens have trained themselves in an understanding of radiation and taken on the tasks of radiation measurement. Before the 3/11 disaster, there was already one citizen-run radioactivity measuring centre, which had been set up in Tokyo by a group known as the Dandelion Society (Tampopo-sha) following the Chernobyl nuclear accident. After the Fukushima accident, further centres were set up in affected areas, and as of late 2013 the Citizens’ Radioactivity Measuring Station (CRMS) network consisted of eight centres, most of them in Fukushima Prefecture. The Fukushima City CRMS, which serves as the core of the network, was opened in July 2011, and is run by two full time staff members and about twenty volunteers. All are non-experts, many of them mothers of young children, who have learnt the science of radiation measurement from the Internet, attending public lectures etc. 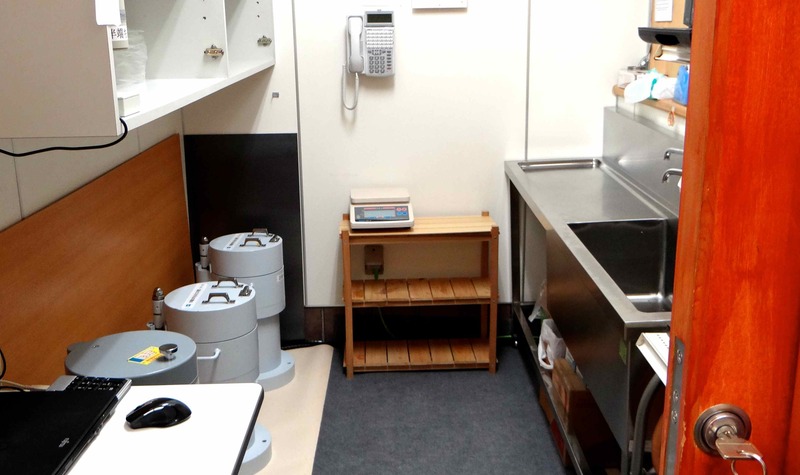 The stations charge a small fee to measure levels of radioactive caesium in food, and (in the case of the Fukushima City station) also to measure human body radiation using a full body counter. All data collected (with personal identifying information removed) is published online. The CRMS also runs and participates in workshops on radiation and health, and disseminates reports and commentary through its website, and the Fukushima centre offers health counseling to parents who are confused or concerned about the results they receive from official health screening schemes. The core aim of the CRMS movement is to provide accurate and openly available data that ordinary people can trust. As the founder of the Fukushima City station, former restaurateur Tanji Kōji, observes, even after the local and national government authorities began to carry out more comprehensive radiation testing, some people continue to come to the CRMS for “second opinions”, because they are wary of the information provided by official sources. Data collected by the CRMS highlights the complexity of the problem of radiation and health. Nuclear accidents release many different radioactive substances, some of which are much more long-lived of dangerous than others. Plants and animals absorb radioactivity in very different ways: so, while some local foodstuffs tested by the CRMS show almost no radiation, others (particularly plants such as mushrooms, bamboo shoots, kiwi fruit, honey etc.) sometimes show very high levels. As the CRMS itself is quick to point out, its equipment is only able to measure caesium-134 and caesium-137 (regarded as the most likely threats to health), but may not be able to pick up other rarer radioactive substances released by the accident. The Tōwa “roadside station” (michi no eki) lies deep the Fukushima countryside, surrounded by forested hills, rice fields and fast flowing streams. It consists of a shop and restaurant selling local farm produce to passing visitors, but, tucked away in a lead-lined back room, it also contains the local citizens’ radiation measuring station. The small town of Tōwa (population 7000) is about 45 kilometers from the Fukushima nuclear plant: outside the exclusion zone, but near enough to have been very seriously affected by the accident. One of the most immediate effects was that Tōwa residents found themselves hosting some 4000 refugees from the neighbouring town of Namie, which was forcibly evacuated. Tōwa was historically a rice growing and silk producing village, and the collapse of silk production left it without a strong economic base. To counteract the decline and aging of the population, local residents began to develop organic farming and market their products, emphasizing the image of the region as peaceful and unpolluted. In 2005 they set up a council to promote “Organic Village Tōwa”, and registered this as a non-profit organization (NPO). Key elements in their local development scheme were the production of a local brand of organic fertilizer, the development of the “roadside station” as a centre for marketing farm produce, and a scheme to encourage city-dwellers in search of an alternative lifestyle to take up farming in the area. The Fukushima nuclear accident had a devastating effect on these plans. A number of local farmers who had developed mushroom and vegetable growing ventures found that their products (particularly mushrooms) became unsalable. But the local response to the disaster has been remarkable. Using the existing NPO as a core, the residents established their own radiation measuring station, enabling them to identify which crops contained dangerously high levels of radiation, and to reassure customers about the safety of the products they marketed. They also developed links with university researchers, particularly from Niigata and Tokyo Institute of Technology, and entered into collaborative projects with these academics to assess the levels of radiation in the ground and in farm produce. One result of this collaboration has been extremely detailed mapping of radiation levels in individual fields. 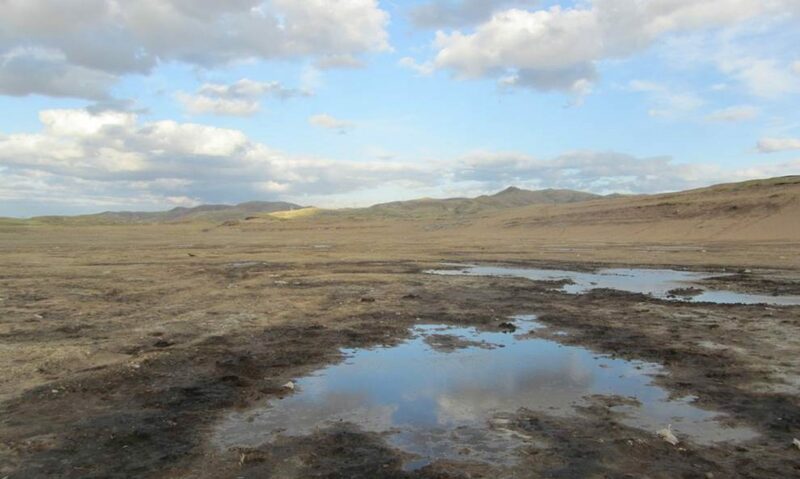 This reveals huge differences from one field to the next, mainly caused by the flow of water, which washes highly radioactive leaves and other natural debris down the mountains to the lower slopes. Other experiments test the capacity of different soil types to block the absorption of radiation by plants. 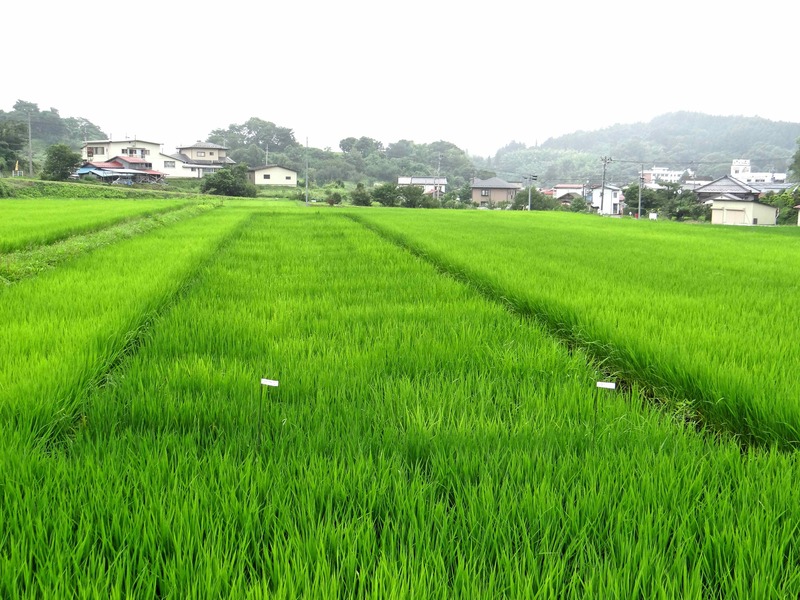 On the basis of these studies, the farmers of Tōwa have been experimenting with and improving their locally produced fertilizer to enhance its radiation blocking characteristics. The issues faced by Tōwa residents are profound and long lasting, and the results of their experiments will take years to be fully visible, but their actions provide an intriguing case study for re-examining the relationship between science and everyday life in a situation of crisis. Aldrich, Daniel P., “Postcrisis Japanese Nuclear Policy: From Top-down Directives to Bottom-up Activism”, in Ian Jared Miller, Julia Adeney Thomas and Brett L. Walker eds., Japan and Nature’s Edge: The Environmental Context of a Global Power, Honolulu, University of Hawaii Press, 2013, pp. 280-292. Shimazono Susumu et al, Genpatsu Saigai to Akademizumu, Tokyo, Gōdō Shuppan, 2013. CRMS Fukushima Repoto, (periodical), vols 1-4, 2011-2013.